K. Marcia Johnson is a playwright and short story writer. Her work explores the past and its effects on contemporary black life. 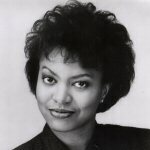 She is the award-winning author of “The Trial of One Short-sighted Black Woman vs. Mammy Louise and Safreeta Mae”, published by Broadway Play Publishing, in 1999. The play was listed as one of Newsday’s top ten plays of 1999, after receiving rave reviews in The New York Times and The New York Post. After its premiere at ETA Theatre in Chicago, the play received the Chicago Jeff award, as well as six Audelcos in New York, and the author received her own day in Louisville, Kentucky. Ms. Johnson was also a contributor to American Visions Magazine, and recently completed a collection of short stories for her Masters Thesis at Otis College of Art and Design, in Los Angeles, entitled “Beyond Image”. The collection explores the African Roots of California. The former TV writer has written for the Cosby Show, as well as others, and is presently collaborating on a short documentary about the black founders of the city of Los Angeles. Ms. Leslie is the first and only black female editor for CBS Television Network in Los Angeles. A graduate of Northwestern University’s School of Speech, in radio, television and film, Ms. Leslie currently chairs the History Council for the California African American museum in Los Angeles.